Car accident liability is not always a clear-cut issue. There may be many underlying causes that attributed to the accident, including unsafe roadways, such as potholes, slick surfaces and weather conditions. However, if you've been injured in a head-on collision, the Austin head-on car accident lawyers of Zinda Law Group can help. Our head-on accident attorneys have the knowledge and experience necessary to help you seek maximum compensation for damages. And as one of our clients, you will pay nothing unless we win your case. To learn more about how we can help, call Zinda Law Group at (800) 863-5312 for a 100% free case evaluation with our head-on car accident lawyers in Austin, Texas. When the accident was caused by a negligent driver or company, such as drunk drivers, distracted drivers, drivers who text while driving, drivers who fall asleep at the wheel, or faulty auto products or vehicles, an Austin head-on car accident attorney from Zinda Law Group should get involved. In many situations, the damage of minor fender benders is the least of a person’s worries when it comes to such accidents. A head-on accident between two motor vehicles is one of the most dangerous and deadly accidents, often resulting in fatal injuries. 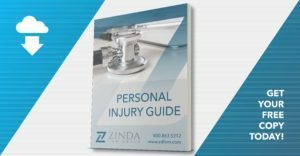 If you have been injured in a head-on accident, the Austin car accident lawyers at Zinda Law Group are here to help you resolve the legal issues around your claim. A head-on accident often takes place when a vehicle turns down the wrong road, such as a one-way street, or accidentally gets onto a freeway off-ramp. They also occur if a vehicle drifts into oncoming traffic from their own lane. When two vehicles strike each other at high speeds, the injuries are often catastrophic. This includes spinal cord injuries, traumatic brain injuries, paralysis, and fatalities in the most tragic cases. With the combined force of two vehicles moving towards each other, it is extremely unlikely that any driver or passenger would be unharmed. It is very important after a head-on accident that you receive the legal care that you deserve from a knowledgeable personal injury attorney from our firm. If a negligent or careless driver was the cause of your accident, our experienced head-on accident attorneys can help you. Not only will we protect your rights and fight for financial compensation on your behalf, we will ensure that justice is served. We at Zinda Law Group take our clients’ well-being very seriously and do everything we can to help them. We can help you move forward with the claims process and can file a claim that pursues the compensation you deserve. To get started with your claim, call Zinda Law Group today at (800) 863-5312 for a 100% free consultation with our skilled head-on car accident lawyers in Austin.